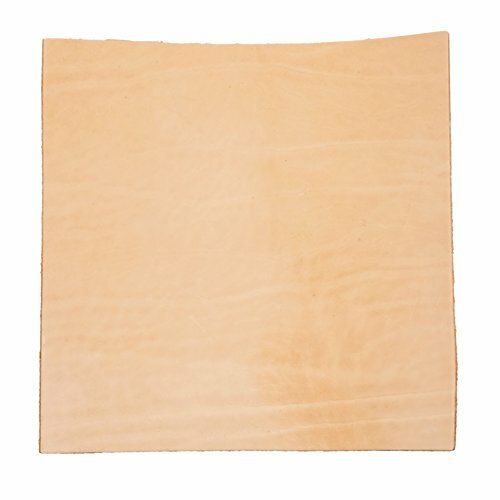 Import Tooling Leather 5-6oz Pre-Cut (12''x12) by Milton Sokol & Co. at Designers Artists. MPN: import. Hurry! Limited time offer. Offer valid only while supplies last. Great for Tooling, Stamping, and Carving Properties. Safe for Animals! Use to Make Luggage Tags, Wallets, Stamping Inserts, Wall Hangings, Holsters And More! Could Contain Imperfections Such as Breaks in the Grain, Scratches, Tick Bites, Disscoloration, etc. Manufacturer: Milton Sokol & Co. Brand: Milton Sokol & Co. Publisher: Milton Sokol & Co. Studio: Milton Sokol & Co. If you have any questions about this product by Milton Sokol & Co., contact us by completing and submitting the form below. If you are looking for a specif part number, please include it with your message. Dangerous Threads Black Latigo Leather Strip 1" x 72"